One longstanding realization for me moving to the USA from England has been the often open welcome and willingness of people here in America to help me take something on. 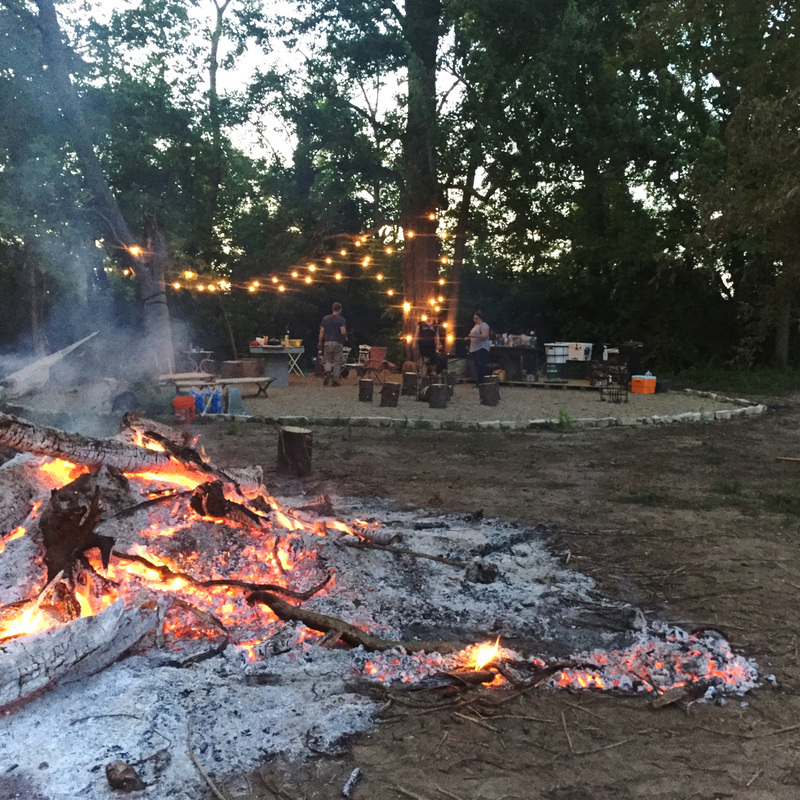 As my country flails following a vote to leave Europe I was heartened to have a group of friends come help me burn a pile of wood this past weekend (June 24-26). One could say it was emblematic but that wasn’t by design. Parchment House has an 11 year (at least) history of neglect and the back pasture was heavily wooded with trees and carpets, tires, car seats, oil drums, etc. Much work happened to clear this and consequently I was left with a house high pile of trees, stumps & brush. Thus waiting to chop & burn and hence, the event. I remember as a child what an event the cutting of the hedge was. My father would first decide that this was going to happen, usually on a Sunday and then the hedge trimmers would come out. They were fairly blunt, hand held trimmers with enough rust to them to make the mechanism of open and close slightly resistant. I recall him having such fatigue in his muscles afterwards. Our hedge was huge. He would silently move along and up and down it on both sides, with me following, black plastic bin bag in hand, collecting all the trimmings. It was never a very happy event, definitely a chore. Mowing the lawn was another exercise of belief in a set of blades that were about as sharp as the hedge trimmers but it didn’t matter. The doing it mattered. Life was different then. It’s slightly unfathomable that just 40 years ago, during the first decade of my life we had a coal fire for heat and a black and white tv. Chop & Burn was an event in the spirit of my enduring american experience. I needed to clear up and burn a pile of wood which by myself would be a tremendous chore. How could I make it less so? Just ask and make it a party, a gathering of willing souls. I grew in spirit that weekend. The camaraderie was sweet and humbling. With the gentle encouragement and support of people around me I did things I wouldn’t normally do or was .afraid to try. I used a chainsaw for the first time in my life and wielded an axe too. I also wore dungarees, which I haven’t since back in the days of coal fires and black & white tellys. As the sun went down and the giant pile of amber burning wood slowly turned to grey I thought about my father and wished he could have been there to see how a chore can be made a joy and how his little girl figured out that burning stuff is way more fun than bagging it.